[IMPORTANT] How to show your support for 5Jib Mr.Simple!! this is BEST thing ANY ELF CAN DO ~~! Some involve cost & others don’t involve cost! this post includes just about everything, so you only have to come here..
【Digital】What Foreign ELF Can Do? to support Super Junior win awards. Why is online streaming important? Online streaming is counted towards digital points along with digital album sales. Digital points are included in music charts calculation, such as Music Bank’s K-Chart, Inkigayo’s Take 7, and ultimately, year end ceremonies, such as Golden Disk Awards. What are the percentages break down for Music Bank’s K-Chart? How do they calculate K-Chart’s Fondness Scale? Audiences’ Gender, Region, Age range; and then get the audiences to choose 3 of their favorite songs out of the nominated songs there. How do they calculate Appearance in Music Programs? Below is a chart made by MEMORIA (2PM Fansite) that explains what is counted towards the charts and etc. Most of these things, we cannot participate in. This is just for your information. Login to Melon and run the Melon player. Login to Dosirak and run the Dosirak player. Music DL: One cycle per ID. MV: Two cycles per ID. You can’t repeat the same song. Login to MNET and run the MPlayer. Daily: 49 cycles of one song allowed per ID. Song DL: One cycle per ID. Login to Bugs! Music and play the Bugs player. Daily: 24 cycles per hour per track per ID. MV: One cycle is automatically added to the chart upon DL. Login to Soribada and run the Webplayer. There is no restrictions on streaming, music DL, and MV. You can cycle them as often as you’d like. You must create a new streaming list every day. Soribada’s free trial listening is no longer counted into digital listening (as confirmed by officials posting in or’s tweeter site). Once you register, you will be given 10 free downloads effective for 7 days, these downlaods are counted in digital listening too. The same song (regardless of how many time you donwload) to the same ID is considered 1x, so please do not download the same song repeatedly, do it just once! free downloads are valid for 7 days, plese use up all the downloads by the 7th day. You must provide a valid email address (the fastest mail engines are yahoo, gmail). SOR’s English site and Korean sites are not link, so you cannot use the old ID from SOR korean site to log into the English site, vice versa. Please register for a new ID. How to register and listen in SBS site! How to register and listen in SORIBADA site! 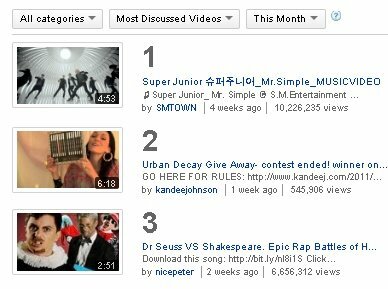 ^^ Both at SJ-WORLD.net that’s all I can suggest right now..